VOLUNTEERS NEEDED IN MORIA FOR THE WATERSHED FOUNDATION. The Watershed Foundation is a grassroots NGO that focuses on providing and improving WASH (water, sanitation and hygiene) facilities and shelter for vulnerable, displaced people. 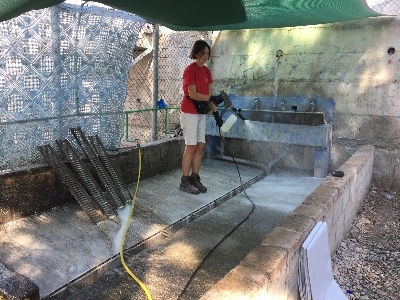 For nearly a year, we’ve been concentrating on improving the WASH facilities inside Moria camp, Lesvos. 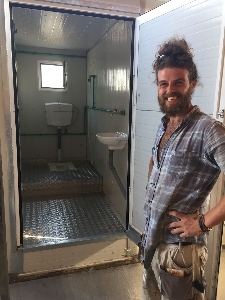 In that time, our primary focus has been upgrading and maintaining the toilets and showers in the camp. Upon our arrival in November 2017, only a handful were working, but our efforts to upgrade and maintain the facilities have made a real improvement to the living conditions in camp. Most importantly, we have enabled the residents of Moria to have some level of privacy and dignity. The situation is still far from perfect, with the population of Moria camp being several times over its capacity, the toilets and showers inside the camp are overused and things get broken every day. 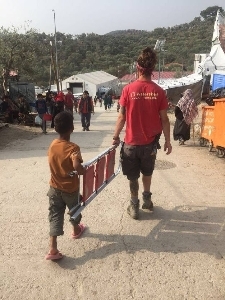 We need your help, so we can continue our vital project, and work towards making Moria more liveable for the thousands of people residing there. 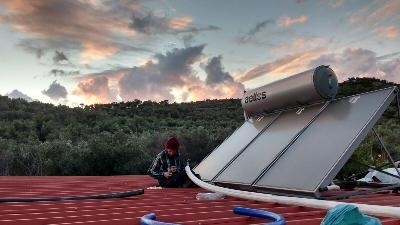 Our team’s principal focus in Moria is the maintenance of the existing facilities. This means doing daily rounds, checking and servicing every shower, tap, sink and toilet in the camp. It is not the most glamorous job, but it is absolutely essential, as we aim to keep everything in working order to provide decent and dignified sanitation for the residents. Depending on your area of expertise, we may also ask you to get involved with one of our other projects that work on maximising and upgrading WASH spaces. In Moria, no two days are the same and there is always something to keep the Watershed team busy! - At least 20 years old. - Some practical experience, skills or qualifications. - Flexible, motivated and willing to get your hands dirty! - Can commit for one month minimum. - Holder of a valid driving license. - Over 25 years old (for car insurance purposes). - Is a qualified tradesperson; especially a plumber or WASH specialist. - Has prior experience working in similar environments. 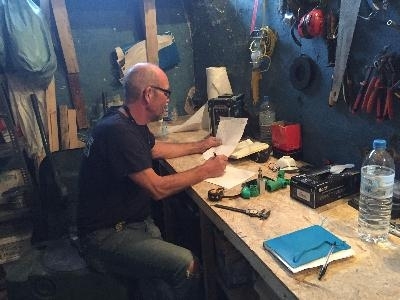 Volunteers are expected to manage their own accommodation during the first month, however accommodation can be provided for volunteers who intend to stay with the team long-term. This is reviewed case by case. We have an immediate need, but this will also be ongoing, so you are welcome to apply for upcoming months. If you are interested in joining our team, please send an email to volunteers@watershed-foundation.org, a cover letter is not necessary, but sending your CV will help us determine if you have the relevant experience for our team.